The Marine Hotel in Ballycastle is set to make the most of north coast tourism after unveiling the results of the second phase of a renovation programme valued at £1m. 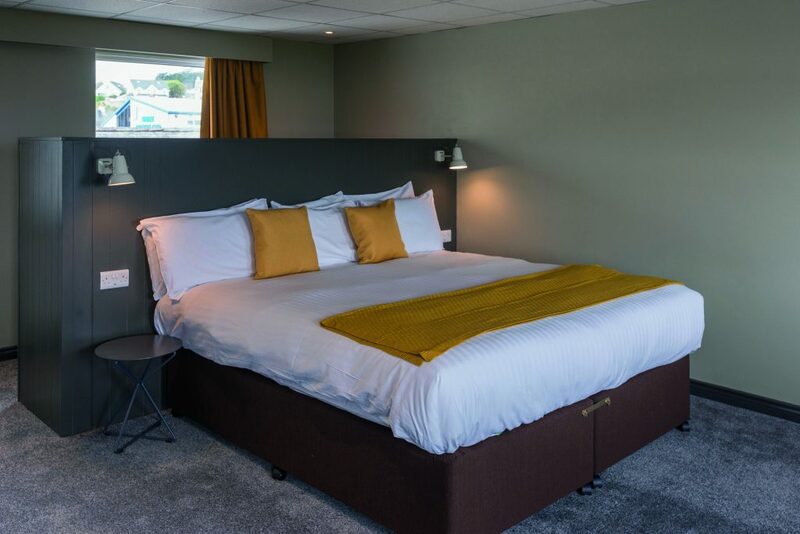 The Ballycastle venue’s chic new look includes seven new bedrooms, a thorough revamp for the hotel’s conferencing and event space and a brand new, relocated bridal suite that offers stunning views out over the Sea of Moyle to Fair Head. It’s the second major facelift that the Marine has undergone since business partners, Claire Hunter and Colum McLornan took the property on in 2013 at the height of the property crash. The Marine had been forced to stop trading at Christmas in 2010 as the property portfolio of its former owner, Mervyn McAllister, began to crumble. At the time, its demise was a major blow to the economy of the seaside town and with its anchor hotel gone, many local people feared for the future in a region that relies heavily on the tourist trade for its prosperity. Claire and Colum reportedly paid £400,000 for the hotel in 2013. By that time, it had been standing neglected on the Ballycastle seafront for three years. She and Colum immediately set about the task of reinstating the Marine. In the early days, there was still little appetite from the banks for investment in hospitality and so the pair spent significant amounts of their own money to get the project off the ground. Among the initial improvements were new beds and curtains for the bedrooms, a plush new Costa coffee bar and a revamped and rechristened Marconi’s Bar and Bistro in honour of the telecommunications pioneer who lived in the town for a time. Once the venture had begun to make money, more significant improvements became possible and the first phase of a £1m plan to transform the Marine was launched in 2014. It involved some conversion work, which brought the number of bedrooms up to 34, all of which were revamped. The hotel also switched from oil to gas and was officially awarded three-star status by TourismNI. ‘We had this huge space but it was hard to heat, there were too many doors and the food was being brought from a kitchen on the other side of the building, so it was inefficient in many ways,’ says Claire. All these issues are addressed in the upgraded ballroom, which is served by a brand new, relocated kitchen. 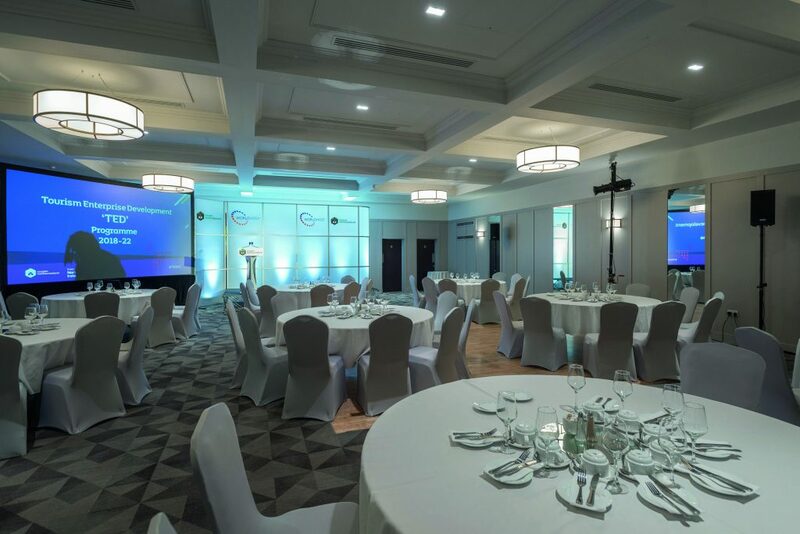 Squads of runners are no longer required to ferry food from the old kitchen to the ballroom, which has enabled an immediate saving of around £25,000, but ballroom capacity has been reduced a little, down to 250 for a standard function or 600 at a theatre-style event. 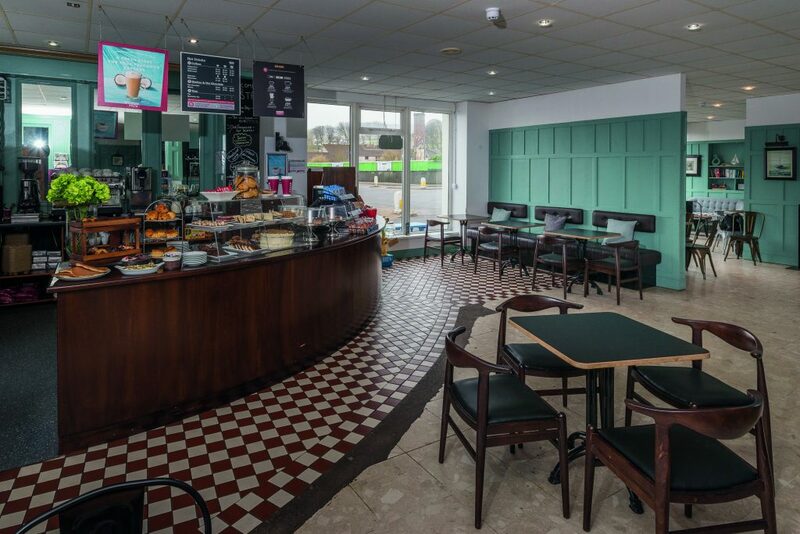 An extensive renovation programme was also instigated in the Marconi Bar and Bistro. The changes, which included new décor and new, single-level flooring, were overseen by Belfast-based architect, Ado, who were also responsible for the city’s Bullitt hotel. Marconi’s new head chef, Pol Shields, comes to Ballycastle from Upstairs at Joe’s in nearby Cushendall. Pol took third place in last year’s All-Ireland Chowder Cook-Off event in Kinsale and seafood is a key feature of his menus at the Marine. The hotel lobby and the coffee shop have both had facelifts as well and currently, the external frontage of the hotel is being renewed. ‘There was a business opportunity there, we’re business people, we spotted it, put a plan together and got on with it,’ she remarked. ‘We knew there would be a lot of hard work involved to get everything the way that we wanted it to be, but now I think we have one of the best hotels on the north coast going into a very exciting time for tourism here. Claire says that in terms of feedback from the trade locally, they are all delighted to see the hotel trading again. Claire Hunter has always been interested in the hospitality trade in NI. 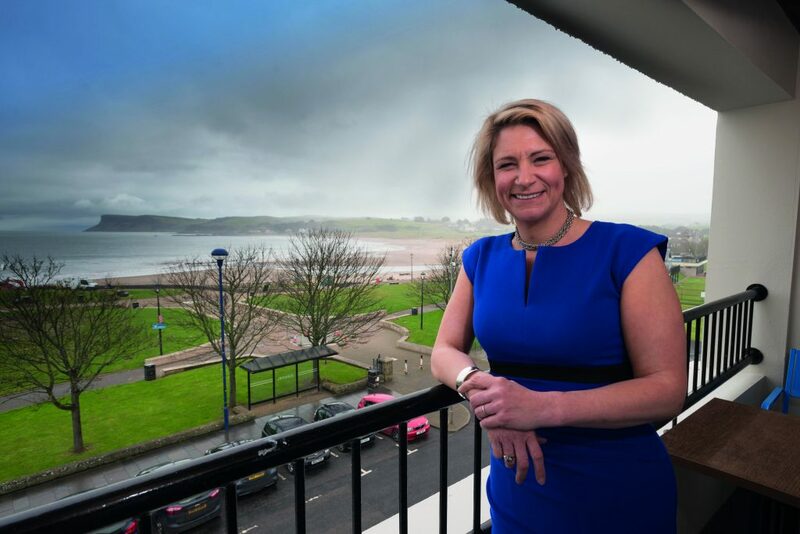 When she finished school just over 20 years ago, she went on to study at the former Hotel and Catering College in Portrush where she formed a firm friendship with fellow student, Colum McLornan, now her business partner. After Portrush, the pair went off to study at separate universities and Claire subsequently spent 10 years working in various hotels and restaurants before diversifying into business as the Irish agent for a firm selling toaster bags. She maintained her interest in the hospitality sector, however, and when the opportunity to buy the Marine Hotel came up in 2012, she and Colum were immediately interested. Claire told this magazine of the pair’s plans in mid-2012, but it was then that a problem arose when a covenant clause was discovered in the deeds. The covenant – which was added in 1989 when the hotel was rebuilt after a terrorist bomb – stated that the site could only ever be used for hotel development. That affected the willingness of banks to lend for the scheme and a deal that had been agreed with a local bank fell through as a result. Eventually, however, the asking price for the hotel was lowered and with significant financial assistance from brewers, Tennents NI and the enterprise agency, Invest NI, a sale was agreed in March 2013.